Don't miss this year's Speakers Bureau event- Tickets are on sale now - Seating is limited - Last Year's Event Was Sold Out! Harvard Professor Dr. Reginald Tucker-Seeley is globally respected for his ground breaking research in the field of socioeconomic disparities in health and health behavior. On Monday, March 6th, 2017, the Harvard Clubs of Broward and Palm Beach counties, along with All-Ivy+ members from across South Florida, will come together to hear Dr. Tucker share his latest research. This is the "can't miss" event of the season where everyone will enjoy riveting conversation and camaraderie along with hors d'oeuvres and drinks. Dr Tucker-Seeley will be discussing how traditional socioeconomic measures are an insufficient barometer to fully understand how a family's economic standing affects their overall health. Using cancer as an example, Dr. Tucker-Seeley illustrates how cancer care, even for family's with health insurance, can impose a significant financial burden and substantially interrupt household spending patterns which leads to additional distress. Drawing on preliminary results from two of his studies (the "Money-Health Connection Study" and the "Financial Resources and Treatment Study"), Dr. Tucker-Seeley will discuss open questions on how and when to measure and intervene on household financial well-being to improve population health and reduce disparities in health. 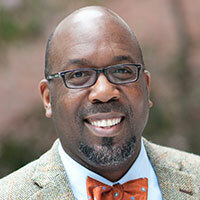 Dr. Reginald Tucker-Seeley, MA, ScM, ScD, is the founder of Tucker-Seeley Research in addition to being an Assistant Professor of Social and Behavioral Sciences at the Harvard School of Public Health (HSPH) and at the Dana-Farber Cancer Institute in the Center for Community-Based Research (CCBR). Dr. Tucker-Seeley completed master and doctoral degrees at HSPH and a postdoctoral fellowship in cancer prevention and control at HSPH and DFCI. His work has focused primarily on social determinants of health, such as the association between the neighborhood environment and health behavior; and on individual-level socioeconomic determinants of multimorbidity, mortality, self-rated health, and adult height. His current work focuses on the development of measures of financial well-being. He currently has two grants funded by the National Cancer Institute (NCI) related to this topic. The first grant is an R21 titled “Development of a measure of financial well-being: Expanding our notion of SES” (1 R21 CA158248-01A1) and the second grant is a K01 Career Development grant titled “Financial well-being following prostate cancer diagnosis” (1K01CA169041-01). Dr. Tucker-Seeley is also interested in the influence of neighborhood environment on the health and health behavior of residents. In particular, he is interested in the various ways neighborhood environment is defined and measured. He is currently developing projects to create measures of neighborhood retail/service environment. He currrently serves on the Rhode Island Commission for Health Advocacy and Equity and is a founding member of the Inter-disciplinary Consortium on Urban Planning and Public Health (ICUPPH). 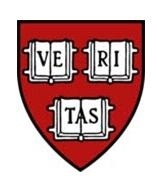 A complete list of his published research can be viewed at the Dana Farber - Harvard Cancer Center website. Advanced Purchase Required. Please Join Us!